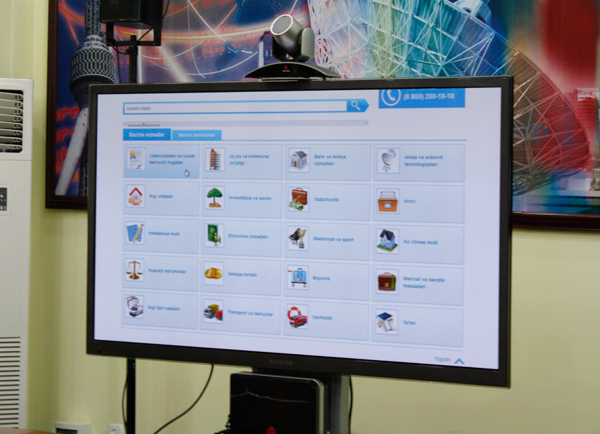 Tashkent, Uzbekistan (UzDaily.com) -- Uzbekistan launched a single interactive state services portal – my.gov.uz – in test regime on 1 July 2013. The single interactive state services portal will serve as single access point to interactive state services, provided by the state bodies, including paid ones. “Services in new format” is a slogan of the single portal. Deputy chairperson of the State Committee for Communication, Informatization and Telecommunication Technologies of Uzbekistan Sherzod Shermatov said that the launch of the website is a first step towards creation of the single interactive state services portal. He said that the portal currently provides over 40 services in test regime, which cover various spheres of economy and life of the society. He added that number of services, provided via portal, will increase in future. Among the offered services are “Submission, registration and consideration of applications to subscription to fixed telephony and internet for legal entities and individuals”, “are “Submission, registration and consideration of applications for certificates from tax bodies on status of tax debt”, “Submission of applications to receive telecommunication licenses”, etc. Businesses can also submit applications to obtain various licenses. The portal also pays great attention to consideration of applications of the individuals. In particular, individuals can send applications to the state bodies. They can also follow the status of their applications. Currently, the portal also provides information about the state bodies and their services. There is also Statistics module, which provides information on number of applications, sent to the state bodies. The module is directed at ensuring transparency of activities of the state bodies. Sherzod Shermatov underlined that the single interactive state services portal will become a key tool to monitory over execution of the legislation on citizens’ application. He said that the portal will help to reveal shortages on rendering state services to legal entities and individuals and eliminate them. Deputy director of the Computerization and Information Technologies Developing Center UZINFOCOM Gayrathodja Saydaliev said that within the project, a call-center (8 800) 200-18-18 was also launched. 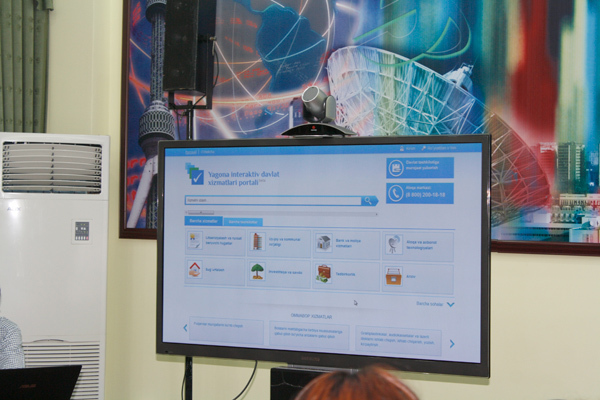 Saydaliev said that the call-center will provide information on the service of the single interactive state services portal and state bodies. He said that in future, it is planned that the operators of the call-center will record applications of the legal entities and individuals and transfer them to the state bodies for consideration. He said that the applicants can receive answer via phone or in written form. The developers of the portal said they will consider proposals and recommendation on further improving the portal and quality of services.